Hotel Bily Lev, Prague. 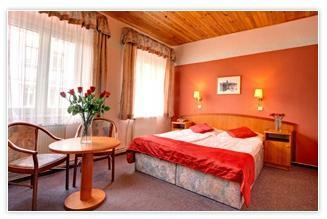 Bily Lev Hotel Prague. Located in Prague's centre the Hotel Bílý Lev enjoys a peaceful location in the district of Žižkov, just three tram's stops from Wenceslas Square and the Old Town. This charming hotel - featuring a relaxing patio, comfortable rooms and functional apartments - is the ideal option if you are travelling in group or by yourself for a long or a short-term stay, not only for the location that makes it convenient, but also for the extensive list of services that really meets any need.